Hello everybody. I hope some of the experts here can help. I am helping a friend prepare a youtube dedication to the Italian forces in WW2 in which I plan to reveal to the lesser-informed, the numerous reverses the Italian Army at battalion level inflicted on the Allied forces in North Africa, in which some 25,000 Allied troops***** ended up surrendering to the Italians. I also plan to include the successes achieved by the Italian Army in Russia and elsewhere. Also can someone help with the naming of Allied ships that the Italian Air Force and Navy sank or seriously damaged? Anyway here is the list of nearly 70 Italian victories that I have so far managed to compile. 11.01.1941 Italian Air Force disables HMS Ilustrious, allowing the safe arrival of the Afrika Korps. 24.01.1941 BCS fight the first sucessfull action against a British armoured force near Derna. 25.01.1941 Bersaglieri fight a sucessfull delaying action near Derna. 27.01.1941 Bersaglieri mount a very strong counterattack on the Australians, buying much valuable time. 08.04.1941 Ariete captures Mechili. Bersaglieri capture 3,000 Allied troops. 04.05.1941 Australians counterattack but the Trento, Pavia & Ariete defeat the attacks. 17.05.1941 Brescia penetrates the sectors of the Australian 2/9th and 2/10th Battalions, forcing the Australians to abandon the S8, S9 and S10 strongpoints. 24.05.1941 Brescia defeats an attacking infantry force, supported by tanks. 02.08.1941 Bersaglieri defeat the 2/43rd and 2/28th Battalions, in a final Australian attempt to recover the lost strongpoints. 15.05.1941 Bersaglieri anti-tank gunners derail the British offensive, known as Operation Brevity. A German Colonel later praised the Bersaglieri anti-tank gunners, saying they defended Halfaya Pass "...with lionlike courage until the last man against stronger enemy forces. The greatest part of them died faithful to the flag." Mid-June 1941 Italian anti-tank gunners under Major Leopoldo Pardi destroy several British tanks, derailing Operation Battleaxe in the process. 27.05.1941 Ariete overruns the British-officered 3rd Indian Brigade. 30.05.1941 Trieste successfully delivers food and provision to the Afrika Korps preventing their entire capitulation. 26.08.1941 Italian troops repell several Russian attacks on the Don front. 27.10.1941 Italians repell strong Russian attack in the Donets Basin, capturing several hundred. 10.11.1941 Italians defeat a Russian attempt to cross the Don River. 19.11.1941 Ariete blunts British offensive named Operation Crusader. 40 Crusader tanks are knocked out. 19.11.1941 Pavia repell column of British tanks in the area of El Adem. British forced to retreat. 20.11.1941 Bologna infantry and anti-tank gunners derail advance of the British 7th Armoured Brigade. 22.11.1941 'Tugun' defenders successfully defend their postion again. 25.11.1941 The Trento successfully defends the 'Bondi' strongpoint outside Tobruk. 29.11.1941 Ariete overruns the 21st New Zealand Battalion. 29.11.1941 Bersaglieri capture 1,800 Allied wounded, medical staff & guards. 200 German POWs are freed. 01.12.1941 Trieste cuts off the link the New Zealanders had established with the Tobruk defenders. 04.12.1941 Pavia and Trento recapture ‘Plonk and ‘Doc’ strongpoints outside Tobruk. 10.12.1941 Brescia covers the German retreat from Acroma Hill. 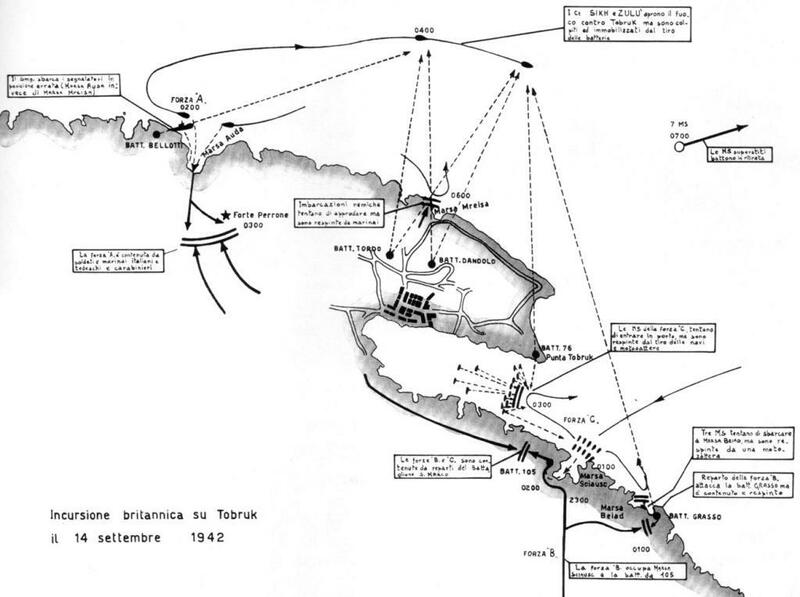 12.06.1942 Trieste helps destroy the British 2nd & 4th Armoured Brigades by cornering them. 16.06.1942 Italians overrun & capture 6, 000 Allied troops outside Tobruk. 17.01.1942 Savona surrenders. It had defeated several Allied attacks. Rommel is very impressed. 11.07.1942 Bersaglieri overrun part of the Australian 2/48th Battalion. 14.07.1942 Colonel Angelozzi's 1st Battalion from the supposedly destroyed Sabratha recaptures Tel el Eisa from the Australians. 15.07.1942 Colonel Angelozzi's men defeat the Australian 2/23rd Battalion's attempt to recapture the position. 15.07.1942 Pavia & Brescia successfully defend their principal positions on Ruweisat Ridge. New Zealander battalion caught out on the open as a result and is captured with the arrival of German tanks. 17.07.1942 A battalion of the Trento overruns part of the Australian 2/32nd Battalion. 21.07.1942 Trieste & Brescia sucessfully defend their main positions on Ruweisat Ridge. Several hundred New Zealanders are captured thanks to their efforts, that allow German tanks to mount a counterattack. 27.07.1942 3rd Battalion of the 61st Trento Infantry Regiment derails the attack of the 2/28th Battalion. 30.06.1942 Littorio surrounds Mersa Matruh & Bersaglieri capture 6,500 Allied soldiers.
? ?.09.1942 Bologna overruns defenders of Point 211 during the Battle of Alam el Halfa.
? ?.09.1942 Trieste, Brescia, Ariete & Littorio force British & New Zealanders to retreat several kilometres. 04.09.1942 Folgore defeat the 6th New Zealand Brigade & capture 200 attackers, including Brigadier G.M. Clifton. 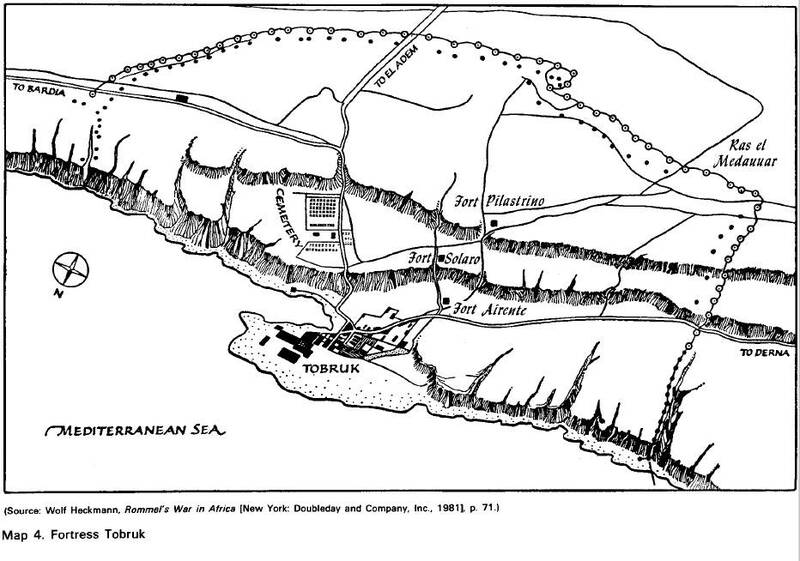 14.09.1942 San Marco Marines defeat Allied seaborne landings aimed at recapturing Tobruk. 1,000 Allied killed, wounded or captured. 30.09.1942 Fogore defeat 131st Queens Brigade, over 300 British killed or captured. 24.10.1942 Ariete, Brescia & Folgore successfully hold the Alamein line. 25.10.1942 12th Bersaglieri overruns the Austalian 2/17th Battalion. 29.10.1942 7th Bersaglieri derails the advance of the Austalian 26th Brigade and creates a salient in the Australian sector. 30.10.1942 7th Bersaglieri defeats several Australian attacks to force them out of this salient. 18.02.1943. While the Germans fail taking Sbiba Pass, the 7th Bersaglieri smash the US lines at Kasserine Pass. 18.02.1943 Centauro Division overruns the US 19th Combat Engineers Regiment. *****3,000 Allied troops surrendered at Mechili. About 500 Australians were captured manning the Tobruk defences. Some 3,500 Allied troops fell into Italian hands during Operation Crusader. 1,000 Indian troops surrendered to the Ariete on 27 May 1942. 6,000 Allied troops surrendered to the Italians outside Tobruk on 16 June 1942. Some 7,000 Allied troops surrendered to the Italians in the area of Mersa Matruh in late June and early July 1942, including 1,000 New Zealanders abandoned in the desert. During the Battle of Kasserine Pass, the Bersaglieri and Centauro Division overran some 2,500 Americans. 24.01.1941 Brigata Corazzata Speziale (BCS) derails the advance of the British 4th Armoured Brigade near Derna. 25.01.1941 BCS contains the advance of the Australian 2/11th Battalion near Derna. 27.01.1941 BCS ambushes a column of the Australian 6th Cavalry Regiment. 27.02.1941 Italians defeat British attempt to seize Kastellorizo Island off Turkey. 21.03.1941 The 2/9th Australian Infantry Battalion captures Giarabub, but only after suffering several setbacks. 01.04.1941 Ariete captures El Agheila. 04.04.1941 Italians defeat Greek attacks at Mount Golico. 06.08.1941 Italian Air Force destroys Yugoslav Air Force within two days, and then demolishes railroad lines and other forms of transportation. 07.04.1941 Italian counterattacks in Albania force Greeks to retreat, many are captured. 09.04.1941 The Italians along the Drin River defeat mass attacks on the part of the Yugoslav 3rd & 5th Armies. 10.04.1941 Italians troops capture Mount Lepre in Albania. 10.04.1941 Italians force Greeks to abandon Circhina. 10.04.1941 Greek attack on Shkumbin is derailed. 11.04.1941 Centauro forces to Yugoslav Zetska Division to retreat to the Pronisat River. 12.04.1941 In northern Yugoslavia, Italian motorised units capture Zara and Bencovae. 12.04.1941 In East Africa, Italians troops defeat two British attacks on Giarso and Alghe. 13.04.1941 In Western Yugoslavia, the Italians capture Koplik. 13.04.1941 Centauro captures the Yugoslav naval base of Kotor in Montonegro, also occupies Cettinje and Podgorica. 30.04.1941 Paratroopers of the Folgore seize Zante and Cephalonia Islands off Greece. 01.05.1941 Ariete & Brescia capture overrun 7 Australian strongpoints ( R2, R3, R4, R5, R6, R7 and R8) outside Tobruk. 17.05.1941 Brescia attacks the Australian 2/9th and 2/10th Battalions, forcing the Australians to abandon the S8, S9 and S10 strongpoints. 24. 21.05.1941 Italian bombers from 41 Gruppo on Rhodes sink HMS Juno and damage HMS Ajax off Crete. 24.05.1941 Brescia defeats an Australian counterattack, supported by British tanks. 28.05.1941 Regina Division lands in Crete & captures Sitia. 29.06.1941 Italian bombers from 239th Squadriglia sink Australian destroyer HMAS Waterhen. Mid-June 1941 Italian anti-aicraft gunners under Major Leopoldo Pardi help derail Operation Battleaxe. 23.08.1941 The Savoia Regiment overruns a Russian brigade at Ibushenkij. 20.10.1941 Italian troops capture a large part of Stalino in Russia. 27.10.1941 Italians defeat Russian attacks in the Donets Basin and take several hundred prisoners. 19.11.1941 Pavia repels column of British tanks in the area of El Adem. British forced to retreat. 22.11.1941 'Tugun' defenders successfully defend their position again. 23.11.1941 Pavia defeats British attempt to smash through the Bologna. 24.11.1941 'Tugun' defenders defeat another British attempt to evit them. 27.11.1941 The Savona Divisions repels a British armoured attack. 29.11.1941 Bersaglieri capture 1,800 Allied wounded, medical staff & guards. 200 German unwounded POWs are freed. 10.12.1941 Brescia covers the Axis retreat from White Knoll. 12.12.1941 Bologna, Brescia, Pavia, Trieste & Trento successfully hold the Gazala Line. 13.12.1941 Trieste successfully defends Point 208. 15.12.1941 Brescia, Pavia & Trento repell a stong Polish-New Zealand attack. 15.12.1941 Ariete plays and 8th Bersaglieri Regiment play a very imporant part in overruning The Buffs. 1,000 British killed, wounded or captured. 26.12.1941 Italian recapture Krestovka from the Russians. 27.05.1942 Ariete overruns the British-officered 3rd Indian Brigade. 1,000 Indians captured. 29.05.1942 Ariete successfully defends the Afrika Korps rearguard. 30.05.1942 Trieste successfully delivers food and provisions to the Afrika Korps preventing their entire capitulation. 05.06.1942 Ariete again successfully defends the Afrika Korps rearguard. 11.06.1942 Trieste captures Bir Hacheim. 20.06.1942 CR.42s of 50 Stormo carried out 43 missions against the Tobruk defenders. 26.08.1942 Italian troops repel several Russian attacks on the Don front. 10.11.1942 Italians defeat a Russian attempt to cross the Don River. 12.06.1942 Trieste encircles the Brtish 2nd & 4th Armoured Brigades, and both tank units are destroyed. 01.07.1942 1,000 stranded New Zealanders are rounded up. 04.07.1942 Italian troops repel several Russian attacks. 14.07.1942 Colonel Angelozzi's 1st Battalion 85th Sabratha Regiment recaptures Tel el Eisa from the Australians. 15.07.1942 Colonel Angelozzi's men defeat the Australian 2/23rd Battalion attempt to recapture the position. 15.07.1942 Pavia & Brescia successfully defend Ruweisat Ridge. Several hundred Allied troops are captured. 17.07.1942 A battalion of the Trento overruns part of the Australian 2/32nd Battalion, 200 Australians captured. 27.07.1942 Armoured car squadron of the Brescia encircle and capture the Australian 2/28 Battalion.
? ?.09.1942 Bologna overruns defenders of Point 211.
? ?.09.1942 Trieste, Brescia, Ariete & Littorio in the area of the Munassib Depression, force British & New Zealanders units to retreat. 04.09.1942 Folgore defeat the 6th New Zealand Brigade & capture 200 attackers. 14.09.1942 San Marco Marines defeat Allied landing at Tobruk. 1,000 Allied killed, wounded or captured. 30.09.1942 Folgore defeat 131st Queens Brigade, over 300 British killed or captured. 28.10.1942 Littorio overruns part of the British 133rd Brigade, 300 British are captured. 29.10.1942 7th Bersaglieri derails the advance of the Austalian 26th Brigade. 30.10.1942 7th Bersaglieri defeats several Australian attacks. 03.11.1942 Ariete successfully covers the retreat of Rommel. 10.11.1942 Italian troops defeat Russian attempts to cross the River Don. 12.12.1942 Italian troops attack Russian defences, capturing prisoners a much equipment. 18.02.1943. Germans fail to take Sbiba Pass, but the 7th Bersaglieri triumphs at Kasserine Pass. 18.02.1943 Centauro Division overruns the 1,200-strong US 19th Combat Engineers Regiment. 24.02.1943 5th Bersaglieri successfully covers the retreat of Rommel. 10.07.1943 Italian dive bombers sink American destroyer USS Maddox. 14.07.1943 Napoli infantry overrun part of the British Staffordshire Regiment defending Ponde Grande in Sicily. 14.07.1943 Semovente unit and Bersaglieri overrun 400 British Commandos defending Malati Bridge in Sicily. 31.07.1943 Aosta Division on Mount Troina in Sicily, successfully covers German reatreat for six days. 02.08.1943 Assietta Division at Santa Agata in Sicily, successfully covers German reatreat . 04.09.1943 Fighters from 5th Stormo sink four US tank landing ships off Reggio di Calabria. 26.12.1944 Monte Rosa & San Maro Divisions overrun the US 92nd Division. Last edited by carlodinechi on 05 Sep 2014 20:28, edited 2 times in total. Of course, anyone can put any list they want on the internet, and create tributes all day on Youtube. But I am afraid that this doesn't change the fact that your list is mostly just fantasy, and has little to do with reality. By adding any kind of non-sense to it, you end up cheapening the real achievement of Italian forces in a bid to make up the numbers. 22.11.1941 'Tugun' defenders successfully defend their position again. - That's surprising given that the 70 Division war diary reports TUGUN as captured during the afternoon of 21 November, including the H.Q. of 40 Regiment. Of course, that was only part of TUGUN, and other parts were occupied during 22 and 23 November. 24.11.1941 'Tugun' defenders defeat another British attempt to evit them. - Err, no. On 23 November at 1240 only the southwest corner of TUGUN (now SLEEPY) was reported not clear of enemy, and at 0733 on 24 November the Beds & Herts report that enemy were withdrawing west from TUGUN/SLEEPY. Source: 14 Brigade war diary. 29.11.1941 Bersaglieri capture 1,800 Allied wounded, medical staff & guards. 200 German unwounded POWs are freed. - the hospital was not defended. They simply seized it. Not exactly a big deal. 15.12.1941 Ariete overruns The Buffs. 1,000 British killed, wounded or captured. - Ariete contributed, but did not cause the overrunning of the Buffs. Even Ariete's war diary consistently refers to 'Italo-German forces', and is otherwise very clear that this was a fully joint attack. 17.01.1942 Savona surrenders. It had defeated several Allied attacks. Rommel is very impressed. - He was, but it did not defeat any attacks. There was no serious attack on the Halfaya position. 21.06.1942 Italian Air Force Capronis subdue the Tobruk defenders in a massive bombardment. - Please tell me you're having a laugh. The Capronis weren't even frontline bombers, and your line makes it sound as if the Luftwaffe had nothing to do with it. The Stormo B.T. were equipped with B.R.20, S.M.79. I haven't checked which for June 1942. The Italian repulse of the commando raid on 14th September 1942 (Operation Agreement)would be the best example. As usual the Germans stole all the credit and claimed a few light AA guns did all the damage-whilst the much heavier Italian guns all sat around doing nothing I presume? I'm not that aux-fait with the land battle of Operation AGREEMENT, but in terms of dealing with the destroyers, my understanding was that it wasn't light AA, but 88s that did the damage? Urmel wrote: I'm not that aux-fait with the land battle of Operation AGREEMENT, but in terms of dealing with the destroyers, my understanding was that it wasn't light AA, but 88s that did the damage? The 8.8cm was 'light' in comparison to the Italian tubes emplaced for just such an engagement. It is impossible to say who hit what on the day but given the Italian guns were there to protect the port it surely must be presumptious to heap all the credit on the 8.8cm. Italian AA guns even outnumbered the German AA guns (48 Italian and 30 German) and there were 17 batt of Italian guns. 76mm x 32, 102mm x 14, 120mm x 20, 152mm x 12 total 78 guns. The German '88' commander also claimed he sank 2 destroyers. The Italians were the ones who defeated the raid-with a little German help. Last edited by Michael Kenny on 05 Sep 2014 16:59, edited 1 time in total. Whatever Michael. I can't be bothered to research this one further. Urmel wrote: 21.06.1942 Italian Air Force Capronis subdue the Tobruk defenders in a massive bombardment. - Please tell me you're having a laugh. The Capronis weren't even frontline bombers, and your line makes it sound as if the Luftwaffe had nothing to do with it. The Stormo B.T. were equipped with B.R.20, S.M.79. I haven't checked which for June 1942. I had a look in Michele Palermo's new book Eagles over Gazala : Air Battles in North Africa May-June 1942 and he covers this date on page 182. CR.42s bombers of 50 Stormo carried out 43 sorties against the strongholds of Tobruk. This is the only RA activity mentioned. For two days 1 Buffs had held its exposed position at 204, three miles from Alem Hamza and 2500 yards from the rest of 5 Indian Brigade, with ten I tanks and one light tank of 4 Royal Tanks, a squadron of CIH, 31 Field Regiment, RA (less the troop lost the previous day), and a reinforced battery of anti-tank guns. Ariete made another dab at this group in the morning of the 15th and was again repulsed. Then, after much uncertainty about where the Italians and British were in this region, Menny Battle Group of 15 Panzer attacked Bir Temrad, six miles north-west of Point 204 and well outside the point of the wedge 13 Corps had driven into the Axis positions between Africa Corps and the Italian Mobile Corps.1 The 2nd MG Battalion led the advance in the afternoon, coming under shellfire which combined with a gusty wind to raise clouds of dust, and debussing under MG fire. Then the main part of the battle group passed through to the south—both panzer regiments, with anti-tank guns (including ‘88s’) and field artillery. Other guns engaged the British artillery and the tanks pressed forward through increasing fire until they broke into the western-most defences of the Buffs. While a fierce exchange of fire was still taking place between the panzers and the defending I tanks and artillery, the German machine-gunners reached the eastern part of the defences, and by the combined efforts of all the whole position was overrun. ‘If you do not hear from me again’, Lieutenant-Colonel King of 1 Buffs signalled to 5 Indian Brigade in a manner reminiscent of Shuttleworth at Sidi Rezegh, ‘you will know that I can no longer communicate.’ The utmost gallantry was of no avail against the relentless pressure from the German tanks, field and anti-tank guns, and the machine guns, working as a well-drilled All but two of the I tanks were lost, all but one of the field guns, and the infantry held their positions until the tanks were in their midst. The Buffs lost 531 men and only the Quartermaster, the Medical Officer, and 69 other ranks escaped capture. All told more than a thousand men were killed or captured here, and the Germans (by their own estimates) took six I tanks, 25 guns, and a mass of equipment, including over 100 lorries (only about twenty of which, however, remained in working order, the rest being ‘shot to pieces or burnt out’. The authors of Rommel's North Africa Campaign: September 1940-November 1942 point out that it was an Italian force that overran this post and freed 200 unwounded German POWs. On the Solum front, fierce attacks launched by three enemy divisions against positions held by the Savona division have been smashed by the iron-like resistance of our troops. The attackers suffered further bloody losses and failed to achieve any success. More than twenty tanks were destroyed and many others were hit. I need to find out the name of this pilot if possible and more details regarding the claims about the shore batteries and also the role of the San Marco Marines who I believe rounded up pretty much the entire British force that was captured. Last edited by carlodinechi on 05 Sep 2014 18:58, edited 1 time in total. My guess is Rob is mistaken, and got the date wrong. The night attack was on GRUMPY, not TUGUN, there is nothing in 14 Bde WD that indicates an attack on parts of TUGUN during the night 24/25. Night 25/26 saw a successful attack on WOLF by 4 R.T.R. and 2 Y&L. WD 32 ATB also states that on 23 November TUGUN was cleared up. TUGUN also most certainly did not prevent the linking up. Look at where it was. What was far more important was the failure of 1 RTR and 6 RTR to do what armour was supposed to do (survive in a break-through). What killed the breakout was the failure of 1 RTR to take FREDDY, not the defense of TUGUN. I am really not interested in what some book or indeed the NZ OH has to say about Ariete and the Buffs on 15 December. I am looking at the Ariete and C.A.M. war diaries instead, and they make it clear it was a combined operation with the Germans, so no, the Buffs were not overrun by Ariete and a crack Italian motorcycle unit, they were overrun by Ariete, XII Bersaglieri with 2nd Compania C.C. under command, as well as a combination of German forces consisting of substantial artillery, anti-aircraft, MG Battalion 2, and the remaining German armour. It was a fully combined Axis operation. You can pretend as much as you like that it was just the Italians, it doesn't change the facts. I don't doubt that taking the field hospital was very welcome, and so was releasing the POWs. That doesn't make it a great victory. It's the equivalent to a bouncer beating up a guy in a wheel chair. Nothing to be proud of. And to reiterate, this is just some of the stuff I pick up at a quick glance. I am sure there are more unsupportable claims in your list. With regards to the Allied battalion war diaries they are pretty good, but surely there are two sides to the story? For example, the 3rd Parachute Battalion war diary in the Falklands War claims that an Argentinean patrol was ambushed on the night of 6-7 June 1982 near Murrell Bridge and that 5 members of the "enemy" patrol were killed crossing the wooden structure. When you read Comandos en Accion: El Ejercito en Malvinas (published in 1986) you find out that 5 commandoes were inded crossing the bridge but took cover just in time (due to the British use of tracer) and that one Argentinean NCO (Sergeant Ruben Poggi) on the opposite side of the bridge was wounded. In this action the Argentinean commandoes launch a counterambush and the British soldiers defending the bridge are forced to retire, leaving a fully functioning platoon radio behind that curiously enough the British war diary admits was left behind. The 3rd Parachute Battalion war diary claims the defenders of this British patrol base were forced to retreat after coming under heavy mortar fire from a mountain position a few kilometres away, but in reality the Argentineans had taken the British position at bayonet point. Last edited by carlodinechi on 05 Sep 2014 20:02, edited 2 times in total. If you prefer books over primary sources, that's your perogative. But where do you think they get the info for the books from? You are of course most welcome to show me the Italian primary sources that do indeed confirm that a major attack on TUGUN took place on the night 24/25 November. As I said above: by adding any kind of non-sense to your list, you end up cheapening the real achievement of Italian forces in a bid to make up the numbers. Less is more. It's the British, Australian and New Zealand Official War Histories and even the Afrika Korps record of events that cheapen the Italian efforts. These books and the war diaries are of course a must but have to be read with caution or you have to read between the lines, or better still, compare them with first hand accounts, and the Italian version of events to get the big picture. My problem with the Allied official histories is that they constantly fail to take into account the important role played by Italian units when Allied units ended up second best. For example ,the Italians played the lead part in the capture of 3,000 Allied troops at Mechil, but the Italians are hardly ever mentioned. The Gemans played a tiny role in this Axis victory but of course take all the credit. The same thing happens again with regards to the capture of 6,500 Allied soldiers at Mersa Matruh with the German 90th Light Division getting all the glory at the expense of the 7th Bersaglieri Regiment. The 90th Light did reach this British stronghold first, but then went off chasing other forces in the desert. It was the Littorio that in reality encircled the defenders and the 7th Bersaglieri and Guastatori that punched a large hole in the defences, unnerving the defenders and precipitating their surrender. Of course, if you read and completely trust the Afrika Korps war diaries you'd believe it was the Germans that were the real victors. Last edited by carlodinechi on 05 Sep 2014 20:19, edited 1 time in total. Please stop side-stepping the challenges I pose, if you don't mind. Your general complaint about Commonwealth books is interesting, but not an answer. Which part of "I am looking at the Ariete and C.A.M. war diaries instead" do you not understand? I have absolutely no problem giving the Italians the dues they deserve. But much of what your ever growing list includes did not happen the way you describe it. Two wrongs don't make a right.